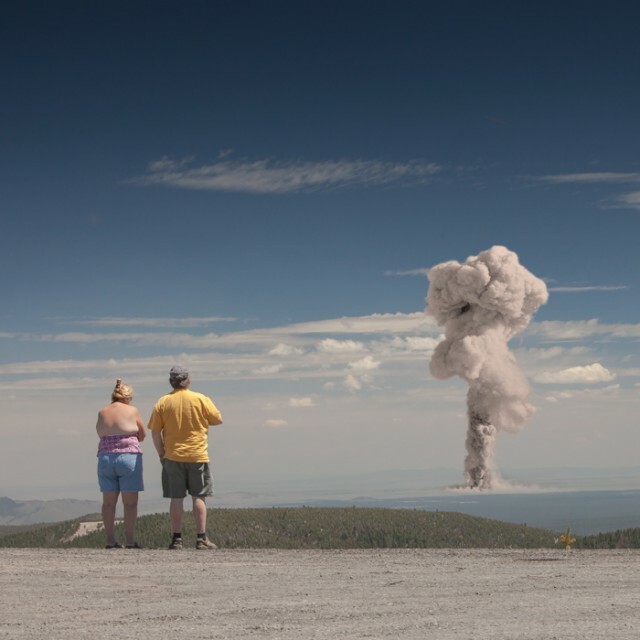 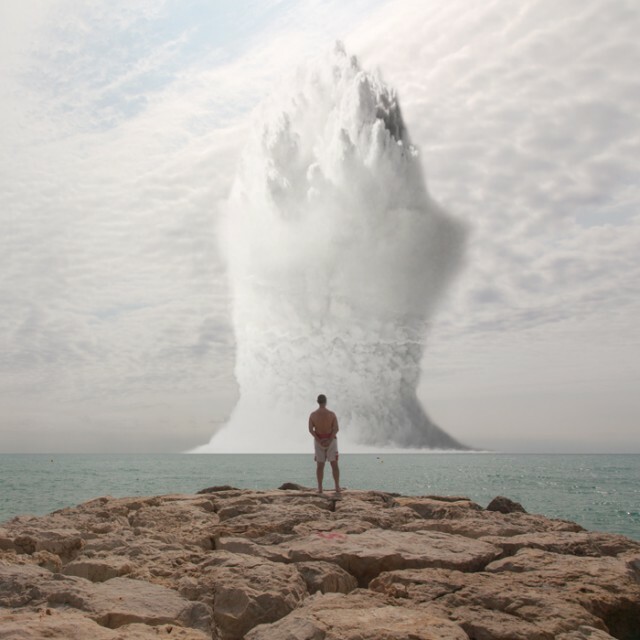 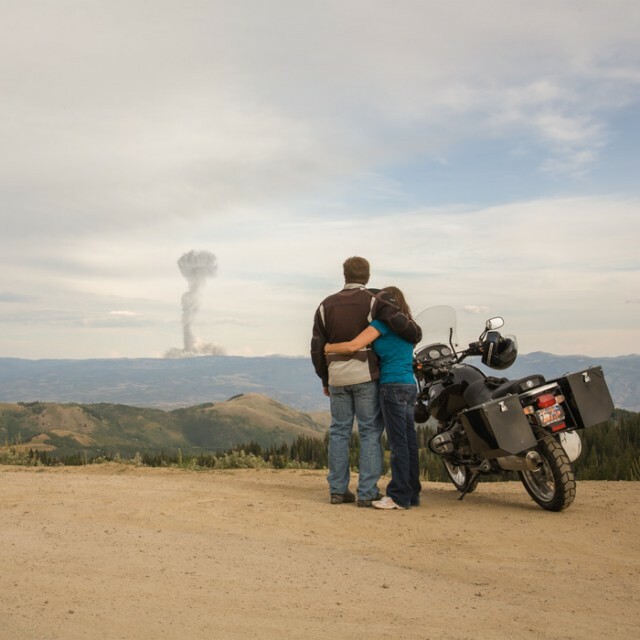 “Atomic Overlook” by photographer Clay Lipsky is a series of composite photos in which modern day tourists passively watch nuclear test explosions. 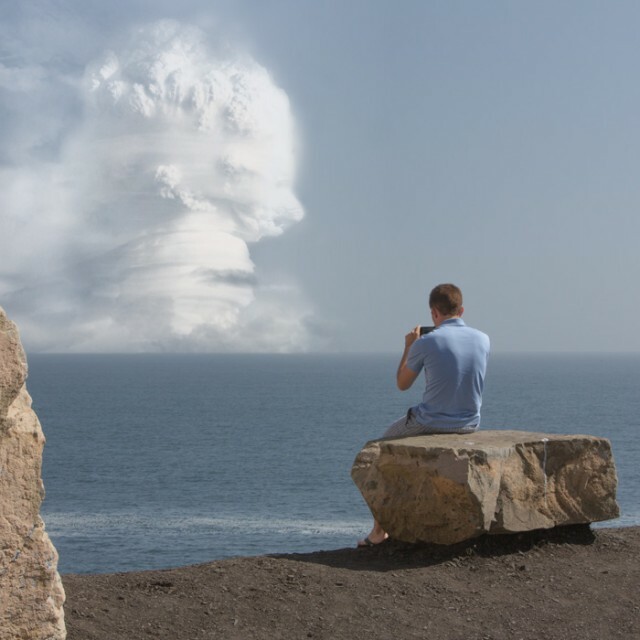 The series illustrates a hypothetical present day in which above ground nuclear testing is common place (above ground tests were banned by the Partial Nuclear Test Ban Treaty in 1963). 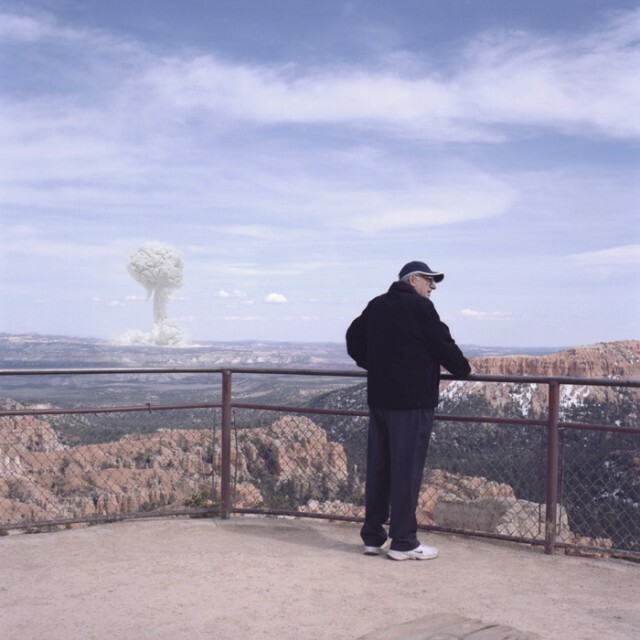 Lipsky created the series as a commentary on both voyeurism in the information age and the persistent threat of nuclear weapons.